Oftentimes the courts or schools may demand you or your child undergo a professional evaluation which may include the diagnosis of a mental condition or a specifically-worded request for an opinion about a condition. I use well-respected evaluation tools and request second opinions for my work as needed. There are other times, though, when I may ask you to undergo short evaluations to help me assess your conditions in more detail. Truth be known, most of my clients seem to like these exercises since it gives them an opportunity to predict their results! There are hundreds, if not thousands, of test tools out there, some with fees and some without. 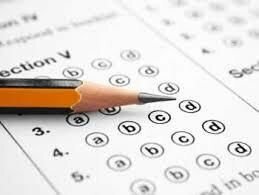 You should know that many assessments can only be purchased and/or administered by licensed psychologists. I do not provide both evaluations and treatment to the same individual for school/court reports. This helps avoid conflicts of interest.